The fact that both government and Opposition have ‘claimed victory’ over the findings of the NAO’s Electorgas investigation, speaks volumes about the country’s institutional state of health. The National Audit’s voluminous report concluded, inter alias, that the last-minute inclusion of Security of Supply agreement had “significantly reduced” risk for the final two bidders; that the bank guarantee provided by the government to Electrogas was ‘irregular’; that Interconnector prices were far cheaper than those from the Electrogas power plant; and that the NAO had no evidence that project was a ‘done deal’. Unsurprisingly, the two parties cherry-picked only those parts that bolstered their own political narrative. The Opposition saw fit to highlight the irregularities in the bidding process, coupled with the difference in price-tag between power station and interconnector (the latter being the basis for the PN’s own energy strategy, rejected by the electorate in 2013). 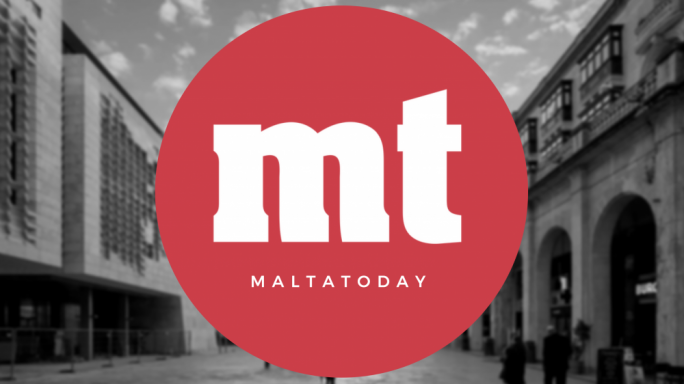 Government, on the other hand, swooped onto the ‘lack of evidence’ of any malfeasance in the tender award to the Electrogas consortium – arguing that this ‘disproves’ suspicions against former Energy Minister Konrad Mizzi and OPM chief of staff Keith Schembri. As a result, it was almost as though the two parties were responding to two, considerably different reports. Without entering the merits of any of these arguments, it can already be seen that politics has already skewed the actual findings of the report: which was ultimately an investigation into a specific tendering process… and not a political trial in its own right. As is to be expected, in the fog of war it is invariably the truth that suffers. By weaponising the NAO’s conclusions along purely political lines, both parties risk losing sight of the broader implications. Ultimately, this report uncovers systemic issues in the way such matters are investigated to begin with. In a sense, it tells us more about what lay (or did not lie) within the NAO’s remit, than what fell within the scope of the investigation. Regarding the tendering process, one significant aspect the report points out was the inclusion, late in the day, by Enemalta of a security of supply agreement. This agreement was crucial because it meant that the financial risk of the project was shifted from the bidders onto the government and Enemalta (in other words, the taxpayer). The NAO says this should have been included in the tendering process from the start. The government responded by quoting the NAO’s conclusion that the changes did not impact the final decision to award the contract to Electrogas. But this is an unsatisfactory argument for two reasons. One, it does not answer the key question at stake: was the transfer of risk to the public in the national interest? If not, why include it so late in the day? But there is another big question that could not have been answered by the NAO. Had the security of supply agreement been included from the start, there might have been more companies interested in the project that made it to the final stages of the adjudication process. What if Electrogas, that had its own financial problems as a result of the problematic situation faced by Gasol – one of the consortium partners – proceeded with its bidding process only because it knew that eventually the government would shoulder the risk? Such questions cannot and will not be answered by the NAO. But they are legitimate in light of the NAO’s findings. Moreover, it was outside the NAO’s remit to investigate political parties in light of accusations made that there could have been some sort of pre-election deal. Given the bearing these suspicions have on the contract, one must question why the rules of engagement seem to preclude any investigation of political parties. Even without such questions, the NAO report is not the squeaky clean bill of health that Konrad Mizzi tried to make it out to be. There are far too many coincidences: Brian Tonna, managing partner of Nexia BT, sat on one of the adjudication boards, only to become the auditor of one of the Electrogas partner companies after it was chosen. The same Tonna helped Mizzi and Keith Schembri open companies in Panama, which included 17 Black – owned by an Electrogas investor – as a target company. While stringing coincidences together does not necessarily prove anything, it certainly raises big political question marks that the NAO could not be expected to answer. The Opposition is likewise wrong to interpret this report as a vindication of its own policies. The NAO report does justify the project, in the sense that the gas power station may have been needed to secure Malta’s energy needs for the long term, and to shift from the more polluting oil to gas. But the findings also indicate that things may have not been as smooth as government is trying to make out. And in a wider context, the report also illustrates how difficult it remains for any national institution to thoroughly investigate public contracts. One cannot properly investigate matters, when certain questions remain beyond the investigators’ powers to ask. The system, as it stands today, can only raise more questions than answers.